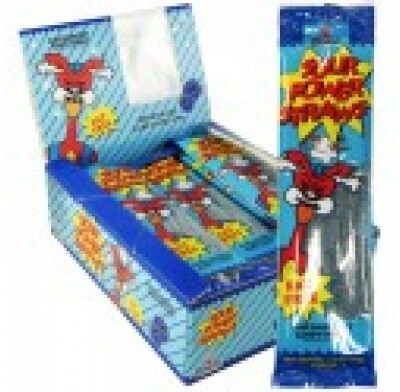 Blue Raspberry Sour Power Straws from Dorval, pucker-inducing sour gummi straws in convenient 1.75 ounce packets. These sour coated fun strips are fat free! There are 24 packets per case.